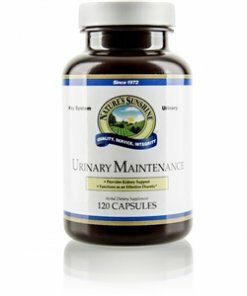 Nature’s Sunshine Urinary Maintenance blends herbs that support healthy urinary system function as well as balance fluid and minerals in the body. 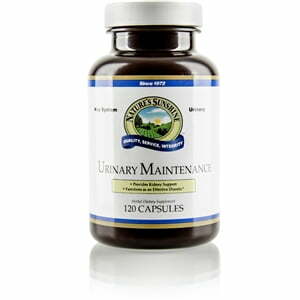 Urinary Maintenance contains uva ursi, hydrangea, hops, eleuthero, and schizandra, in addition to other herbs. The formula encourages proper urine flow and nourishes the kidneys. It may also support natural urinary tract cleansing processes and immune system health. Instructions: Take one capsule with a meal three times daily. Use together with Hydrangea herb when kidney stones are present.